“Across the board, the color, thickness and depth of my roots were better when applying Holganix Golf. It gave my turf roots a more developed, web like root system.” Says Barry Ehrhart superintendent of Manada Golf Club in Harrisburg, PA.
Manada Golf Club is a 19-hole, 6,700-yard, par 72, public golf course that was originally designed by David Gordon in 1964. It has also hosted the USGA Public Link Qualifier. In January 2014, Ehrhart and the general manager of the Manada were on a quest to discover a more environmentally sound and sustainable solution for the course. 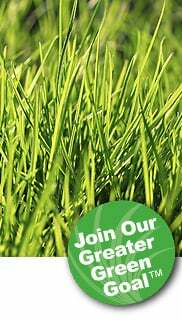 They felt that by incorporating organic golf products into the course’s program, they could advertise to golfers that their course was truly “Green”. At a winter seminar at Genesis Turfgrass, Ehrhart discovered Holganix Golf. He was instantly intrigued by the sustainable element, but was sold on the idea that by developing healthier plants, they’d be able to use fewer pesticides. After three applications of Holganix Golf (totaling 35 ounces per 1,000 square feet), Ehrhart examined the turf. 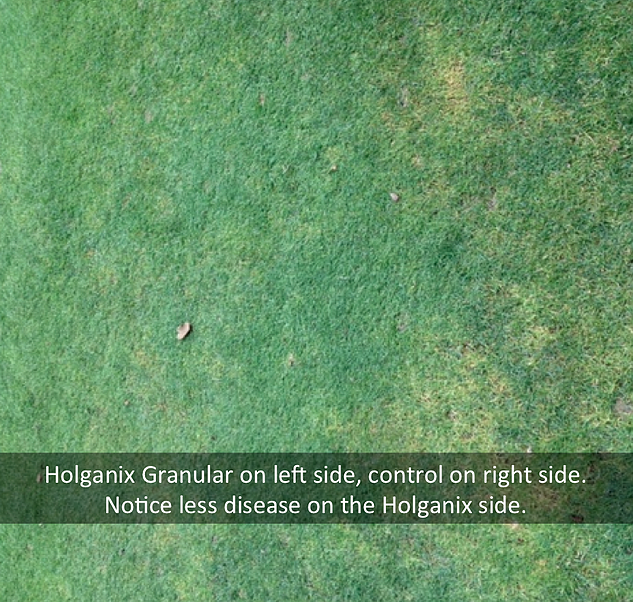 Right away he could see that his disease suppression had significantly improved when using Holganix Golf in conjunction with fungicides (see the end of the article for an explanation on Holganix Golf and Fungicide use). 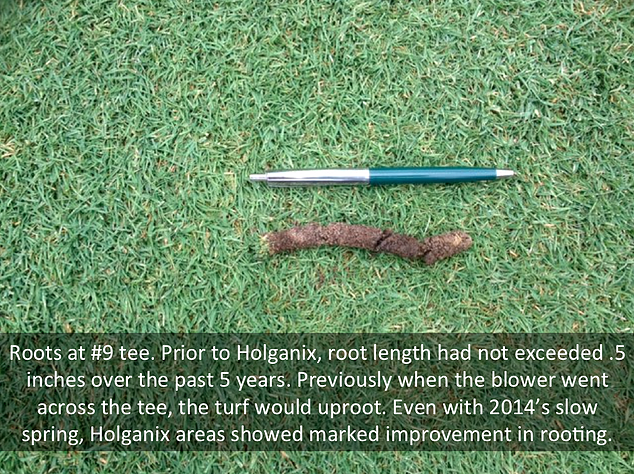 In the second case study Ehrhart examined Holanix Golf's affect on his worst performing tees. 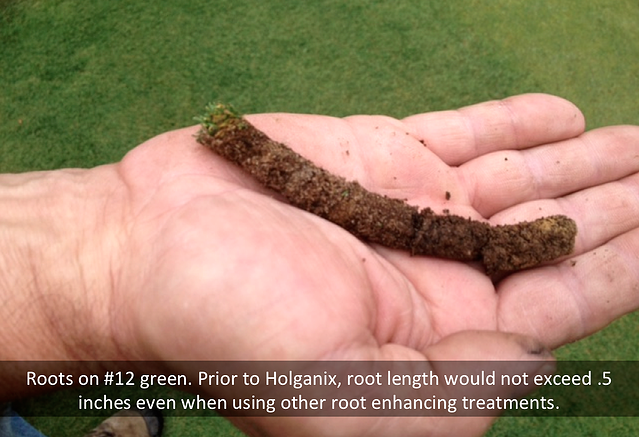 “We did a core sample before applying Holganix Golf and there were no roots what-so-ever.” Ehrhart then divided his tee into 3 sections: the first featured his Holganix liquid program (with synthetic inputs), the center acted as a control with his normal fertility program and the third section featured Holganix granular. “Holganix liquid program was the clear winner in terms of performance. The roots on that tee were .5 - .75 inches in length. That’s a big success for me.” Ehrhart also says it helped with disease suppression. Over all, playability has increased at Manada due to Holganix Golf. “This is especially true in my traditionally, worse performing areas”, says Ehrhart. He’s also excited to say that he’s achieved his goal of making his course more sustainable. To date, he’s been able to reduce fungicdes use by 25% - 30%. 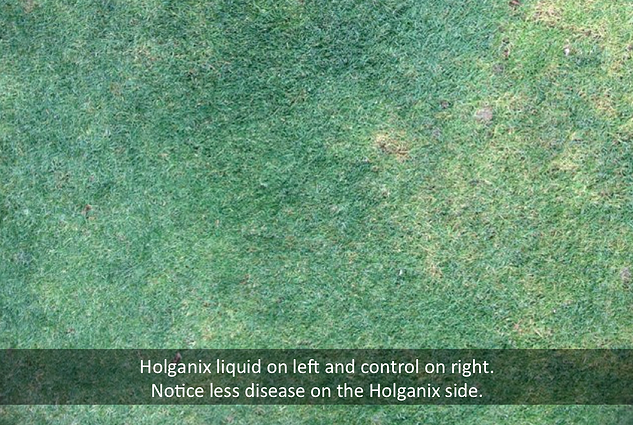 Holganix Golf improves the use of fungicides and many professionals can reduce the amount of fungicides used because the product builds functioning soils that result in resilient turf with deeper, thicker root systems. In fact, by having more resilient plants with a better root system, these plants are better able deal with the stresses caused by disease. The result is that you can often reduce the need for certain fungicides.